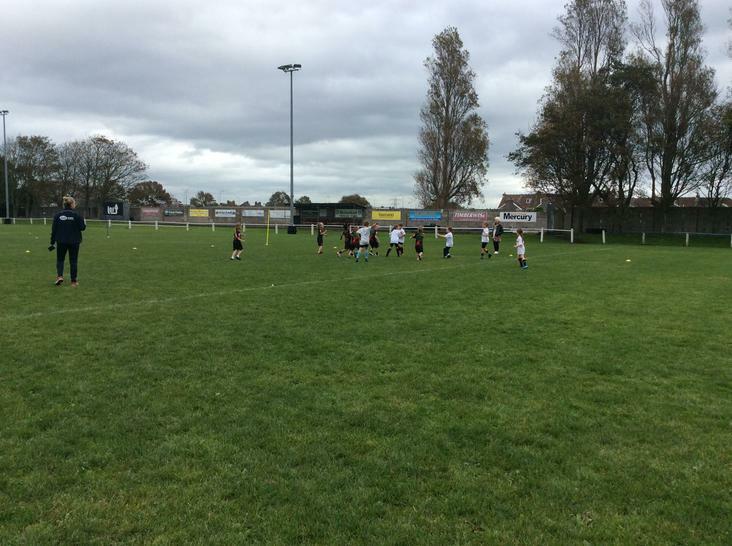 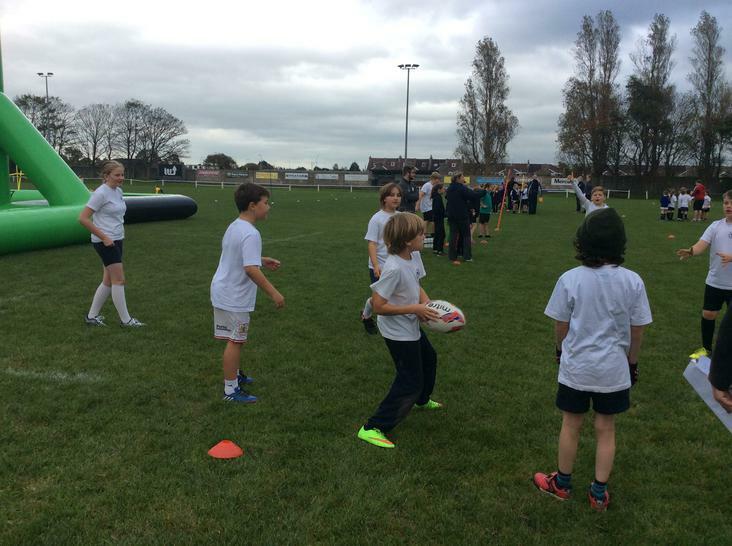 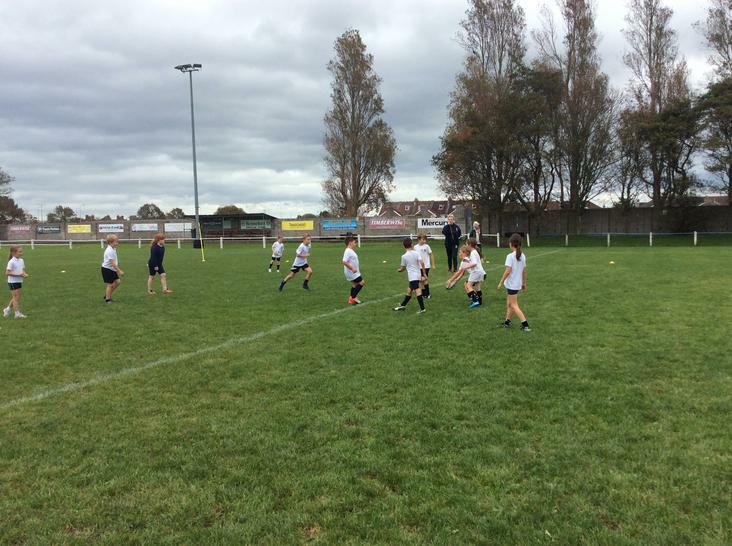 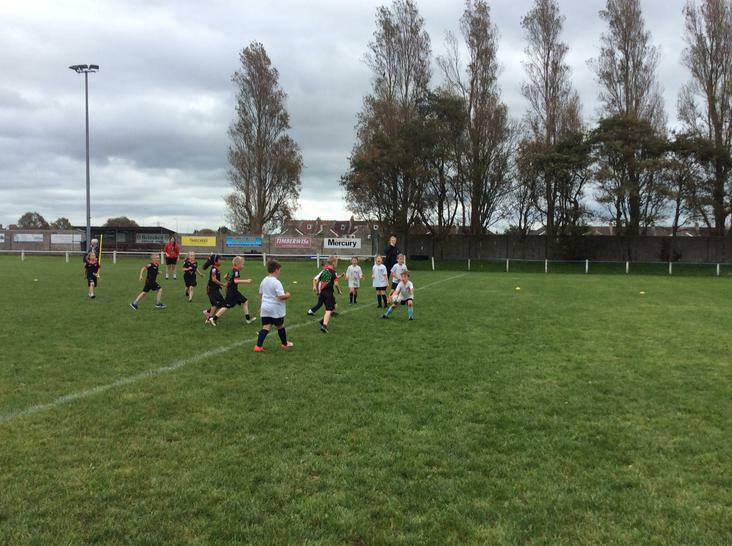 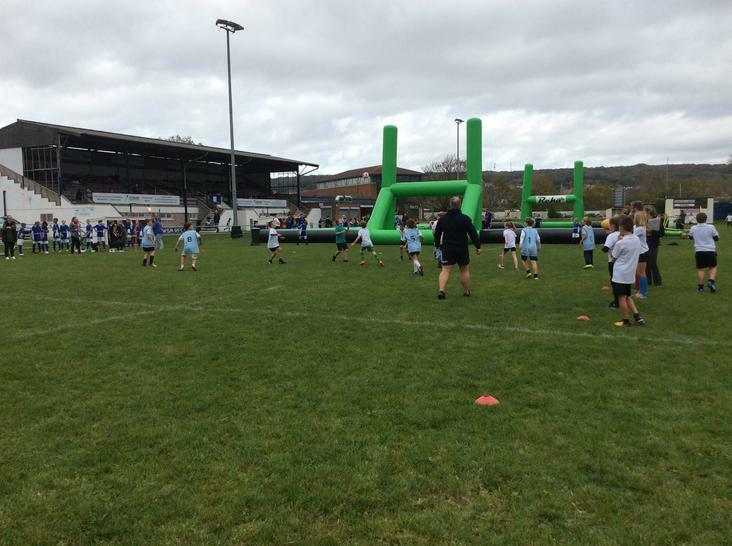 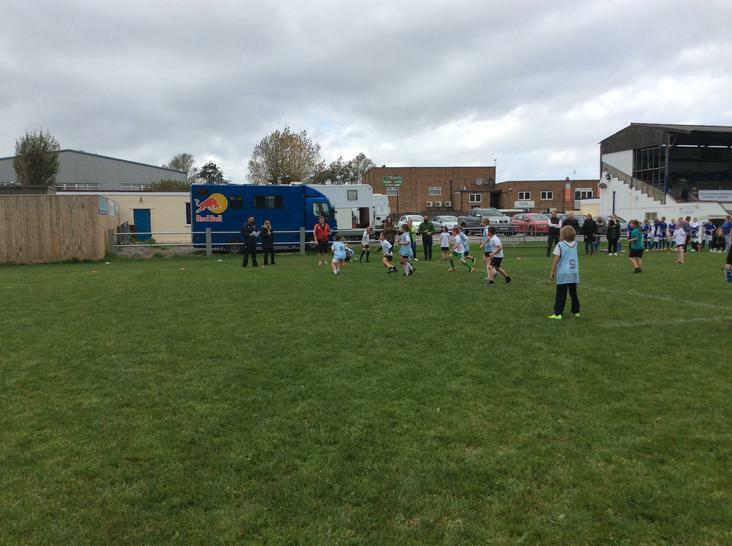 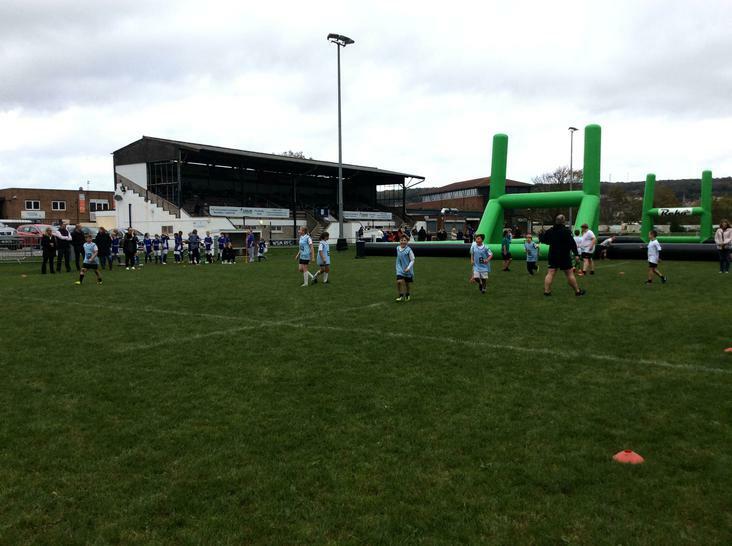 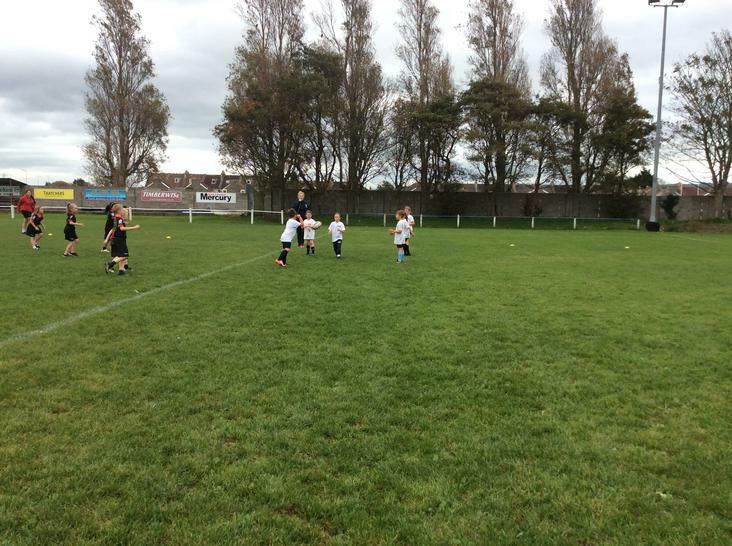 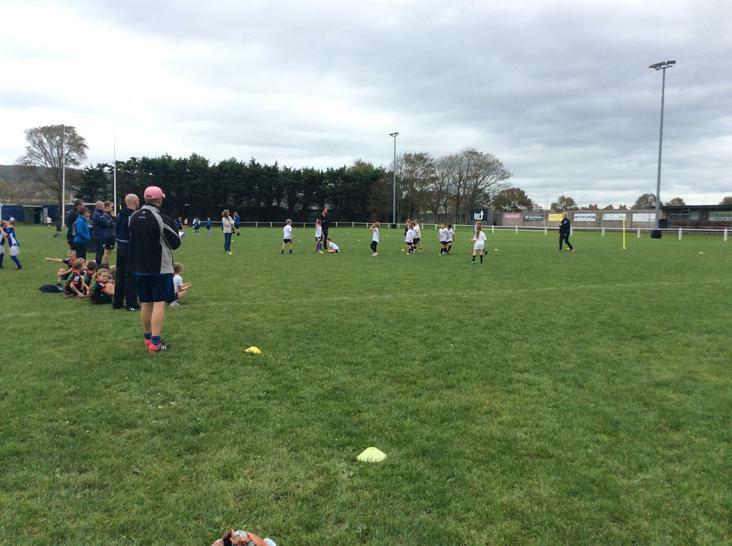 Sandford Primary attended, for the first time ever, the World Cup Rugby Touch tournament at Weston Super Mare RFC. 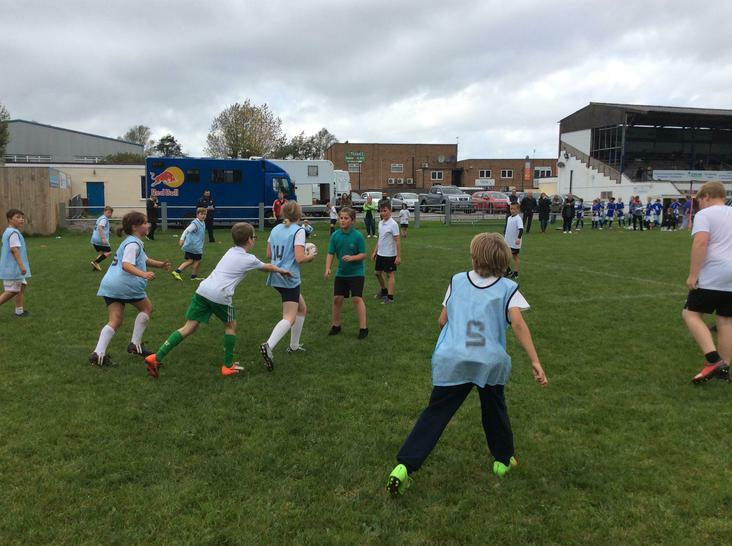 A fantastically organised tournament that saw 11 schools competing in a World Cup structured tournament, playing group stage matches before progressing onto the Bowl, Plate or Cup semi-finals. 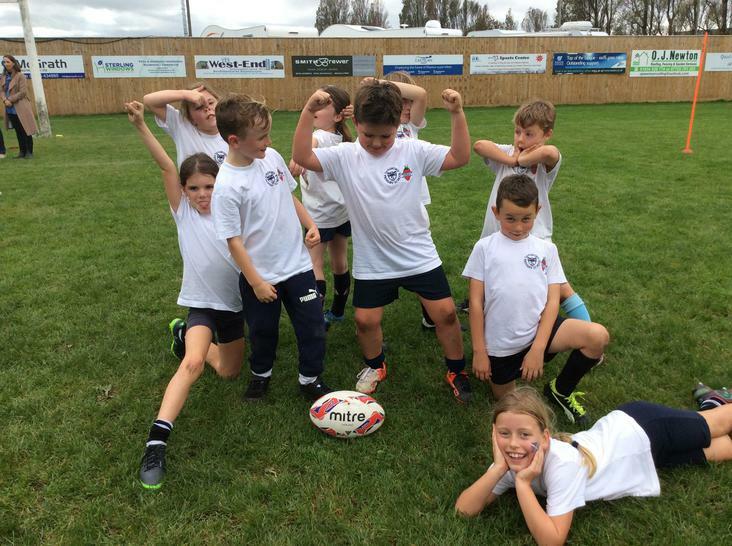 Sandford Primary was tasked with representing the proud nation of Scotland! 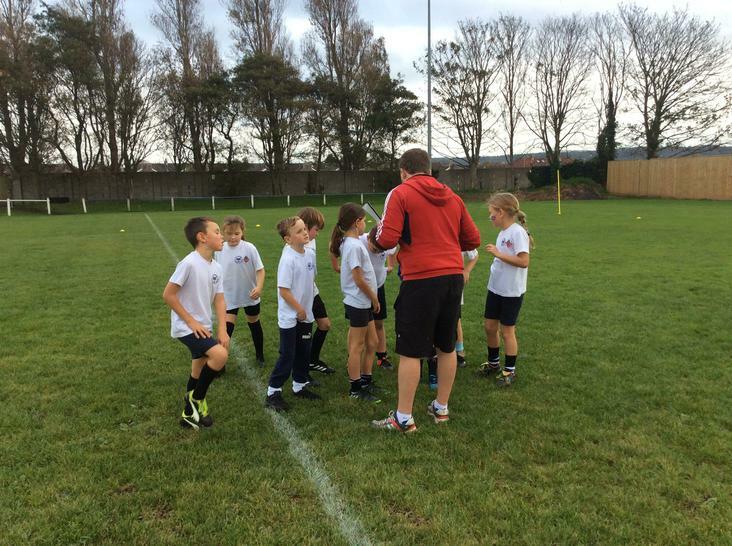 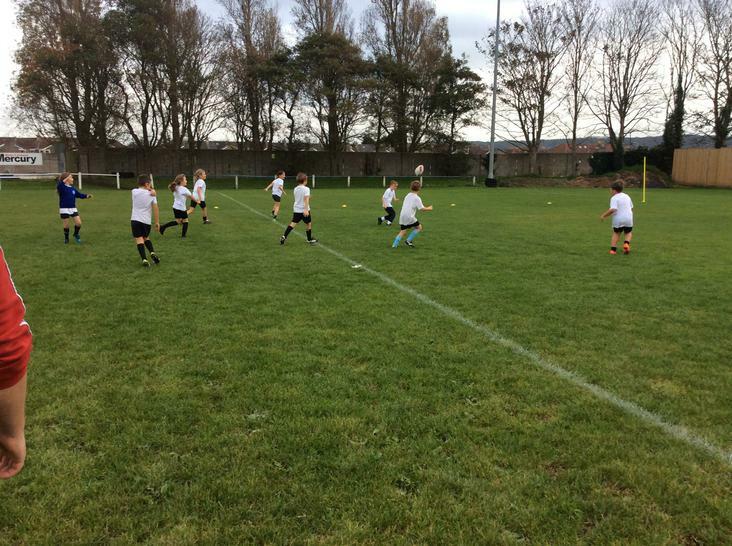 18 pupils were divided into a Year 5/6 team and a Year 3/4 team, with a healthy mix of rugby veterans and newbies. 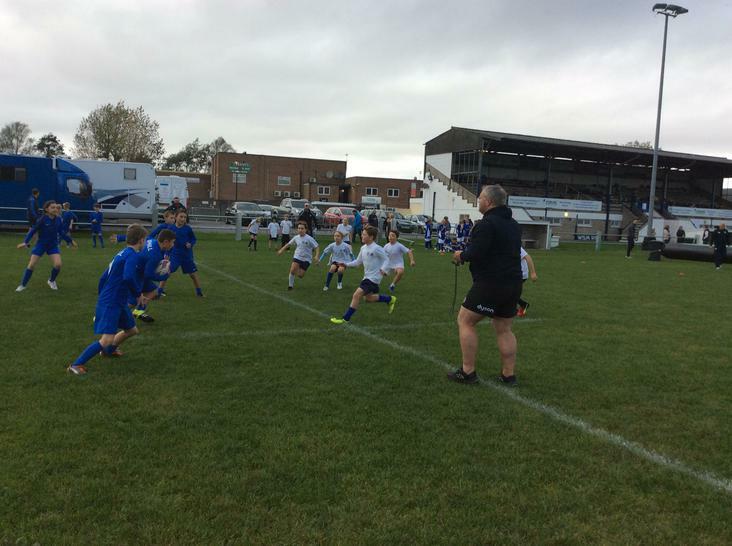 A huge thank you to Mike Vowles for his assistance on the touchline, Maria Avery and Claire Tomlinson for their enthusiastic support and camera work and all other parents and family members who supported the team throughout the competition. 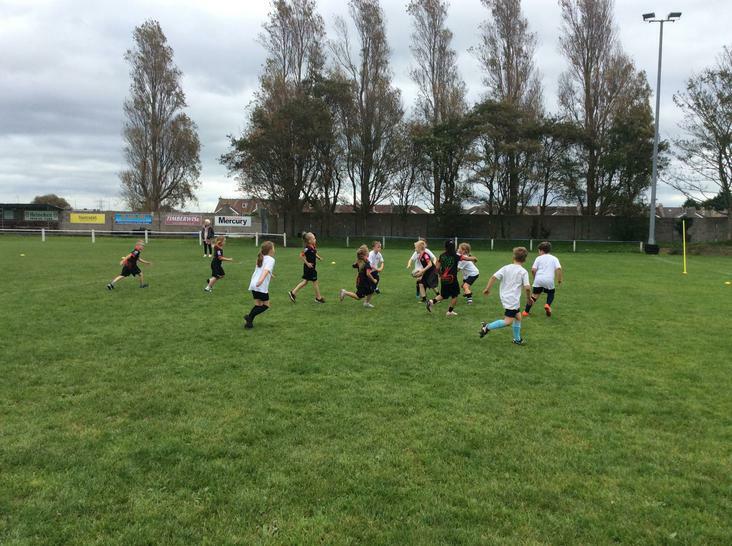 Read on to discover how our teams got on! 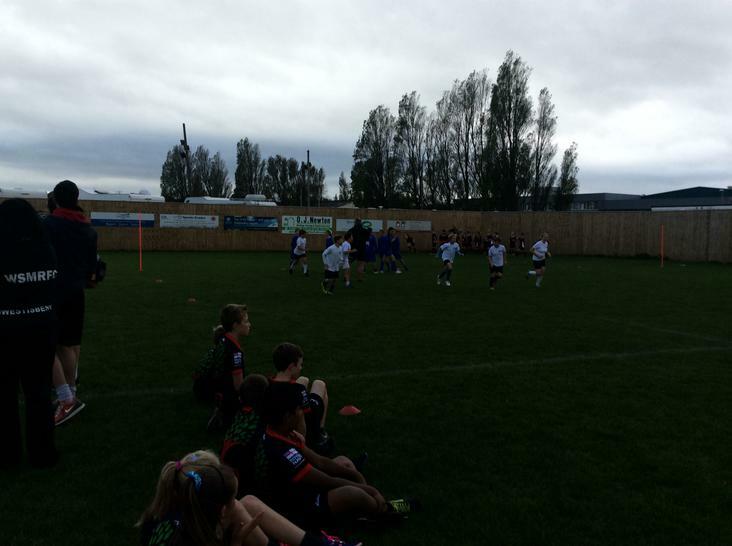 The Year 5/6 tournament started with a tough match against France (Uphill). 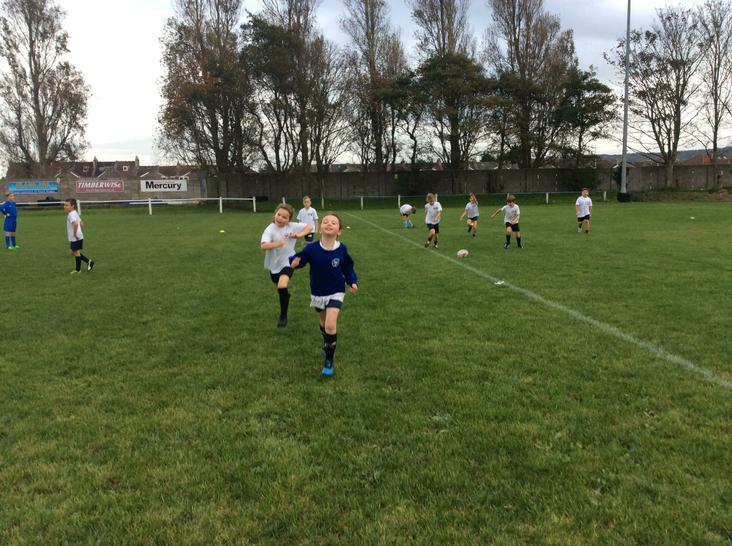 A match that swung back and forth ended 3-2 to France, despite an excellent brace of tries from Edie Storey for Scotland. 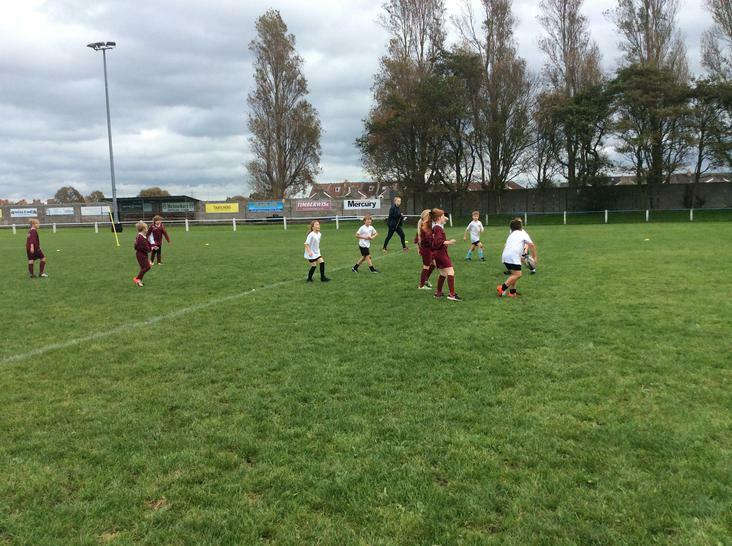 Next up for the Year 5/6 team were Argentina (Bourneville). 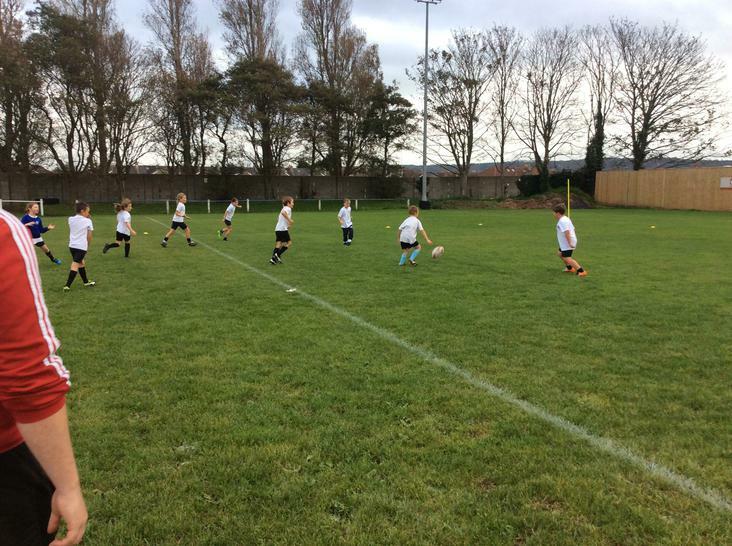 A very well drilled Bourneville team ran out 4 – 1 winners, even with a superb team score finished off by Casper Wheeler as consolation for the Sandford team. 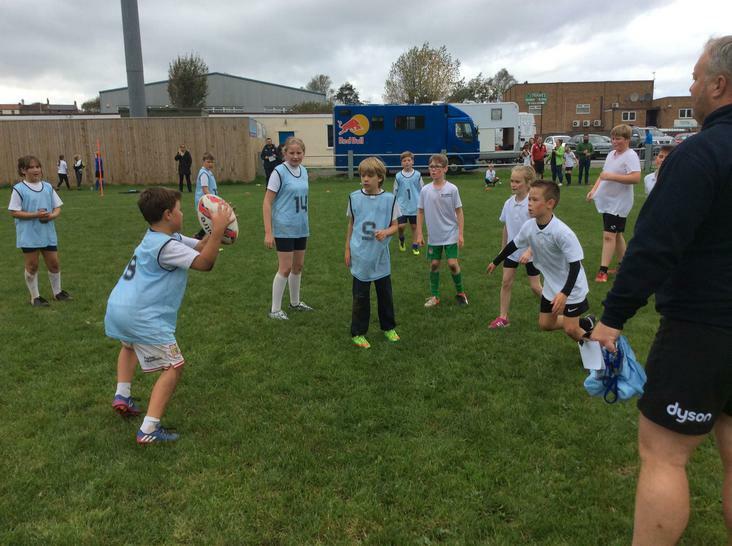 Looking to register their first win of the tournament, the Year 5/6 team took on Australia (Old Mixon) in their next group stage match. 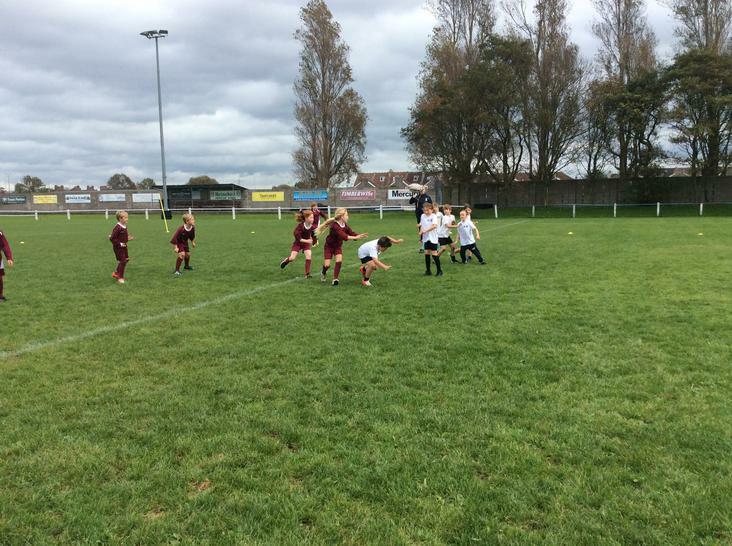 A very tense match, with many missed opportunities for both sides ended with Australia running out 1-0 winners. 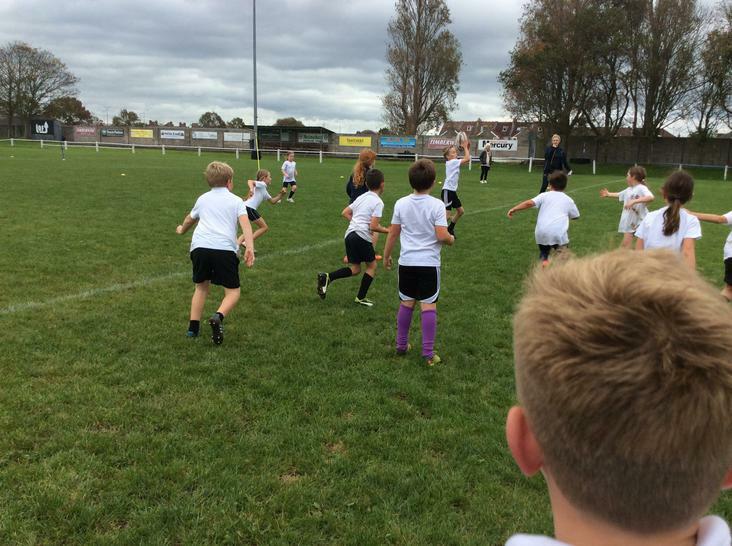 Showing great determination, the Year 5/6 team pushed through to their next match against Tonga (Worlebury) and, after a tense finish, prevailed as 3-2 winners. 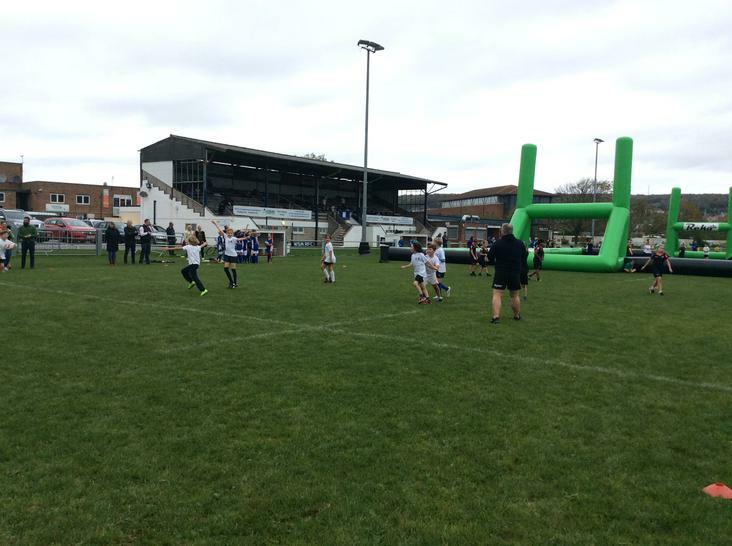 Casper Wheeler grabbing a brace of tries and Will Hathway crossing late on for the winner. 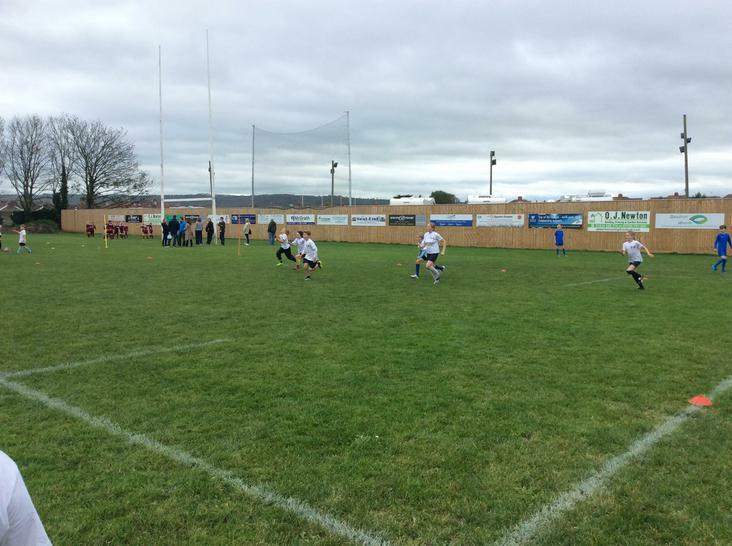 The final group stage match was against Ireland (Locking). 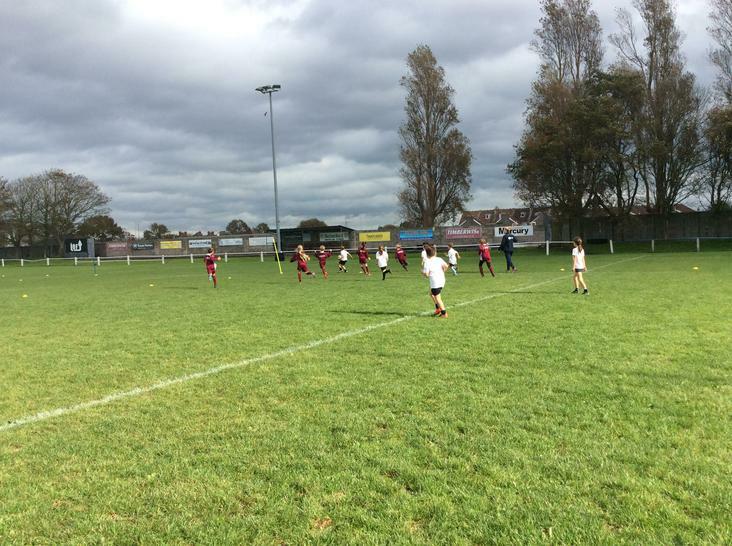 A tough start to the match, with both teams scoring early, led to Sandford emerging victorious 3-1. 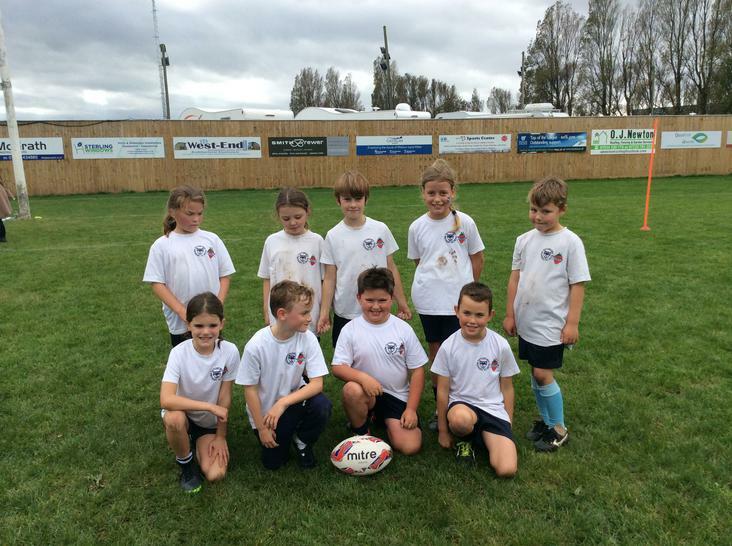 A fantastic team effort shown through 3 excellent team tries finished off by Oliver Tomlinson, Yasmin Harris & Casper Wheeler. 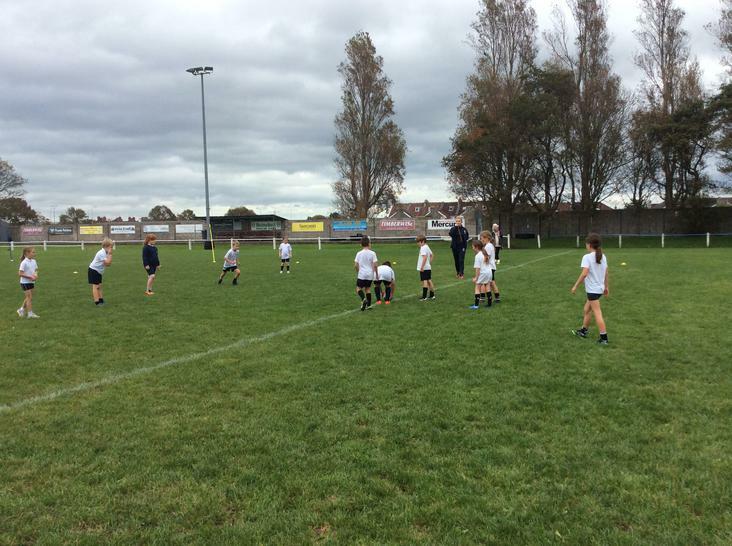 Progressing onto the Plate competition, the Year 5/6 team were unfortunately knocked out by a late try but this does not detract from the incredible team effort and determination shown by all involved. 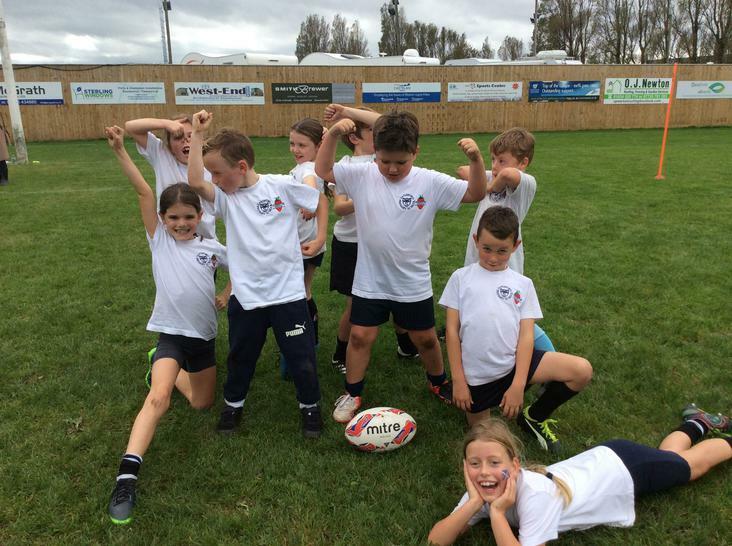 Year 5/6 Squad: Yasmin Harris, Edie Storey, Evie Vowles, Louis Avery, Casper Wheeler (c), Oliver Tomlinson, Sol Walker McKee, Will Hathway, Albert Irving. 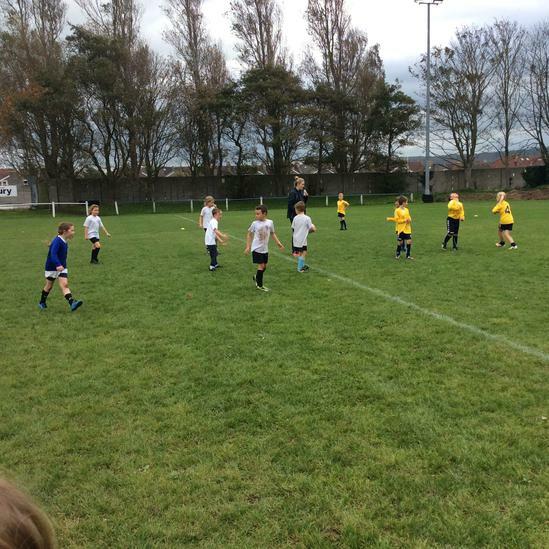 The Year 3/4 tournament started with another close fought match versus France (Uphill). 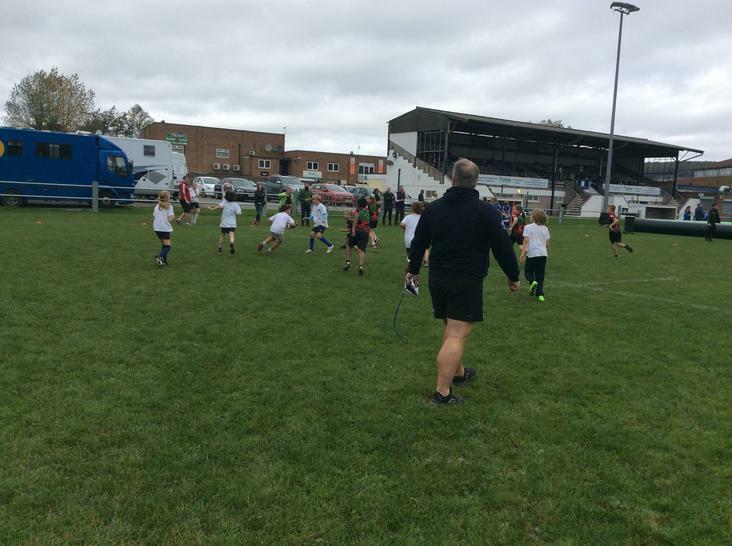 Two excellent team tries from Sandford, finished off by Alex Tomlinson and Kieron Avery respectively, were not enough to prevail, as Uphill ran out 3-2 winners. 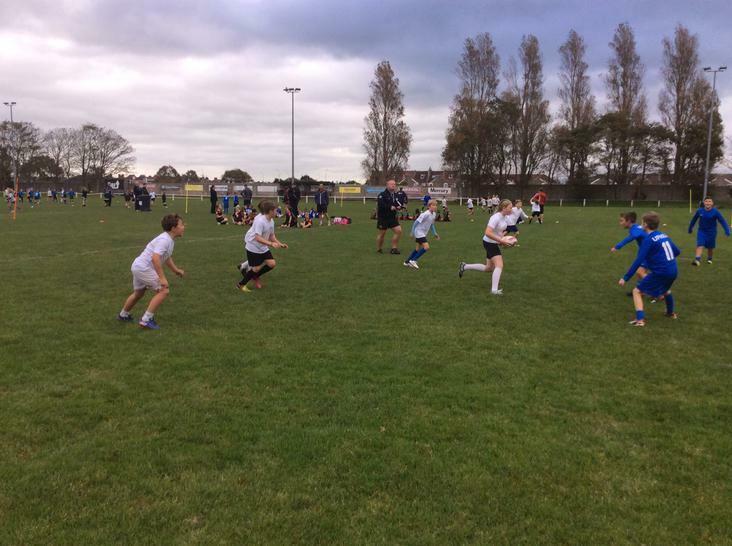 A tough group stage for the Year 3/4 team included games against Argentina (Bourneville), Australia (Old Mixon), Tonga (Worlebury) and Ireland (Locking). 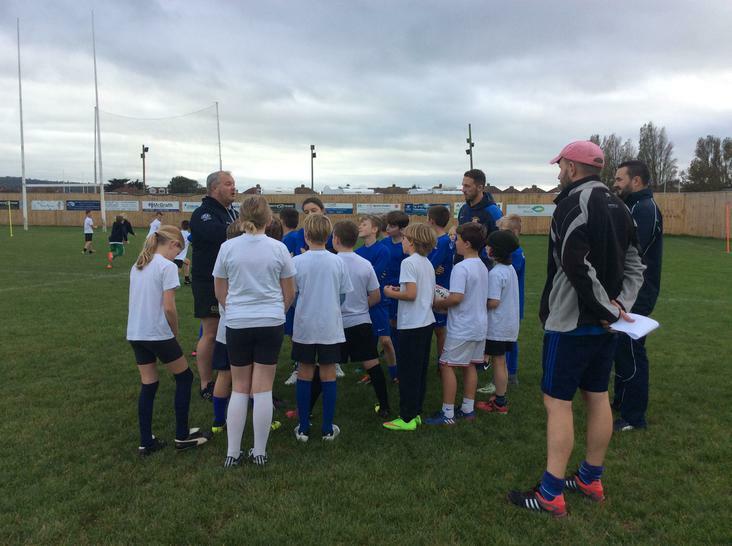 A solitary draw against Tonga, in which Ted Morris bagged a superb try, was the only time they picked up points in the group stage. 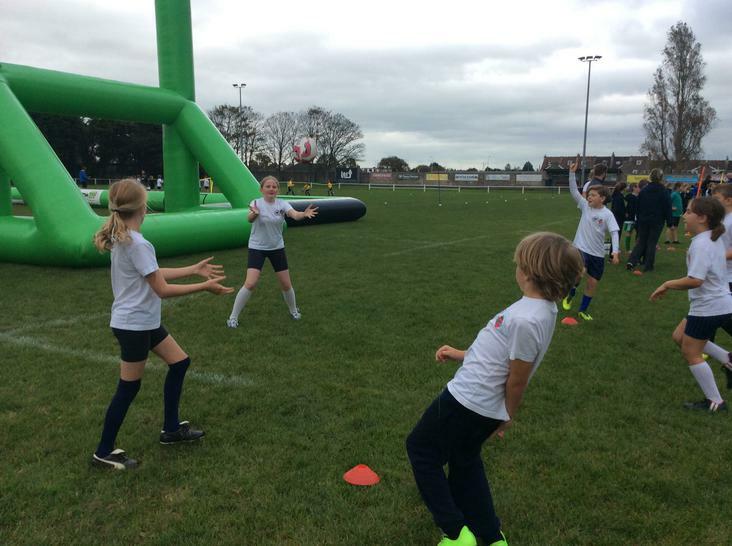 Maisie Vowles also scored an excellent consolation try against Ireland in their last group stage match. 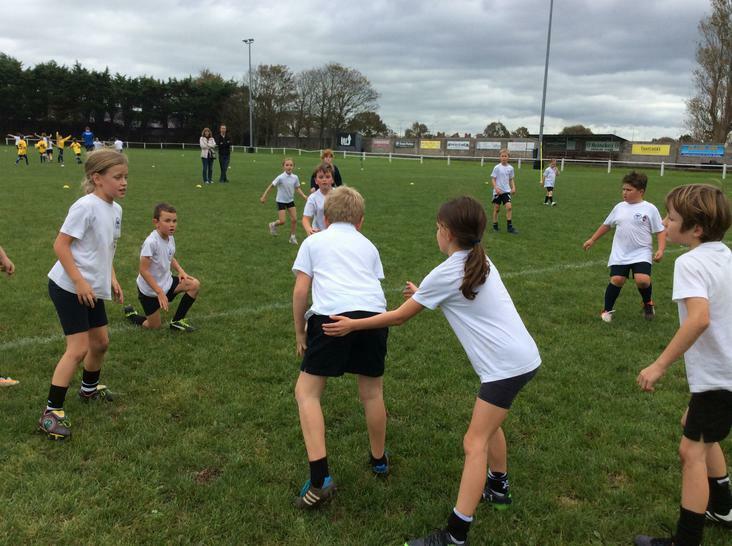 However, showing incredible determination and grit they progressed onto the Bowl competition. 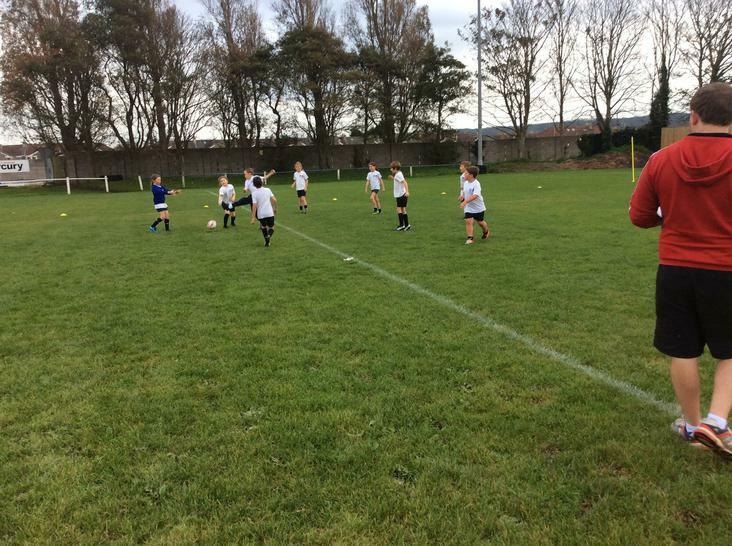 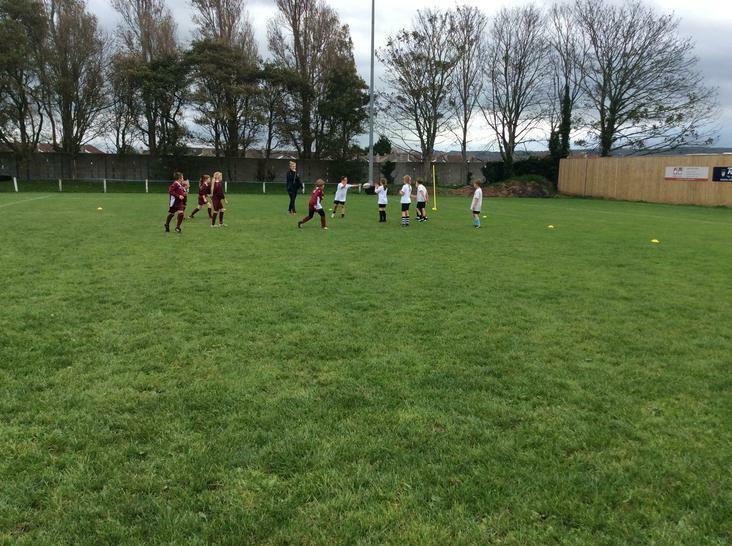 With the Year 5/6 team cheering them on, Sandford emerged 3-2 winners in the semi-final and pushed onto the final. 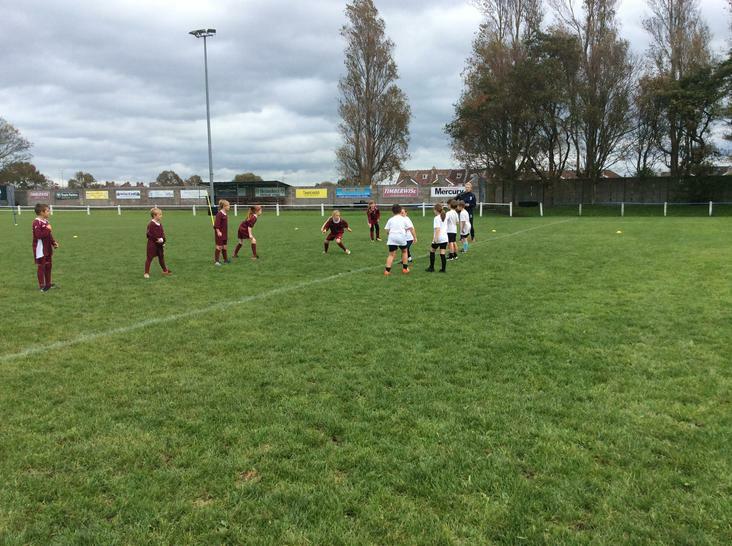 A tense match finished with Sandford as 2-1 winners, bringing the silverware back to school! 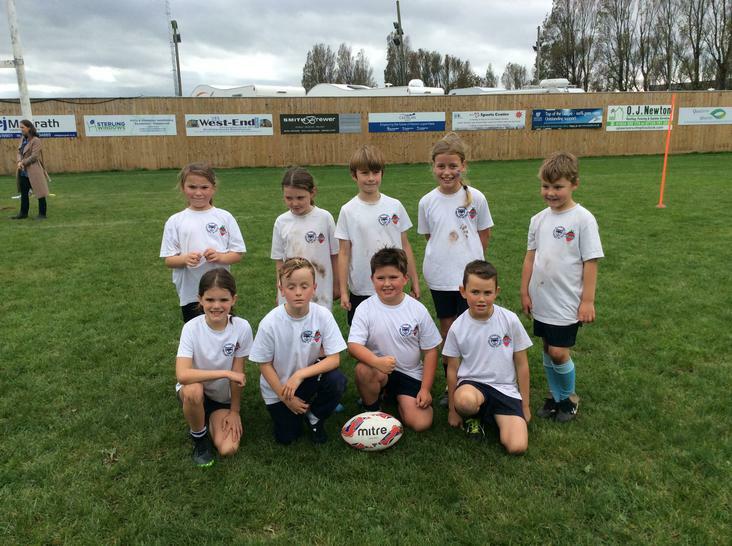 An excellent performance by the entire team, who showed that grit, determination and self-discipline go a long way in defining a team. 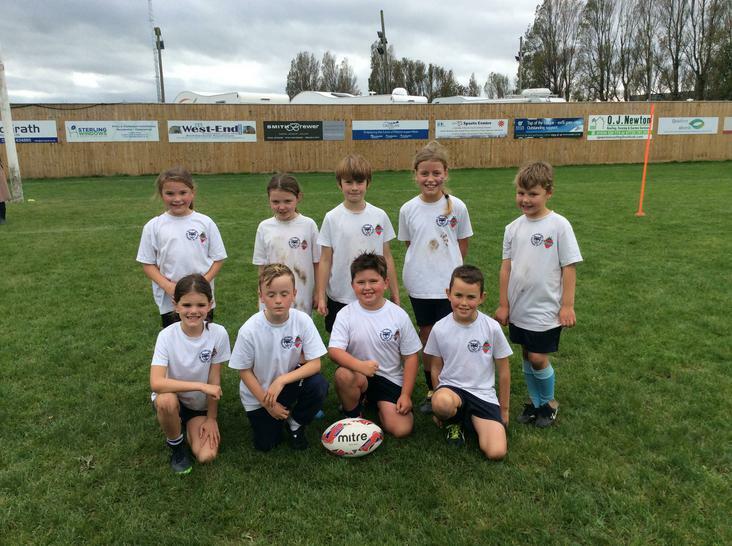 Year 3/4 Squad: Maisie Vowles (vc), Mia Hosford, Olivia Saker, Eleanor Honeywell, Tom Hathway, Kieron Avery, Alex Tomlinson, Charlie Bailey (c), Ted Morris.